After a Rough Start, Lakers are Just Getting Started! Lebron James and Brandon Ingram. 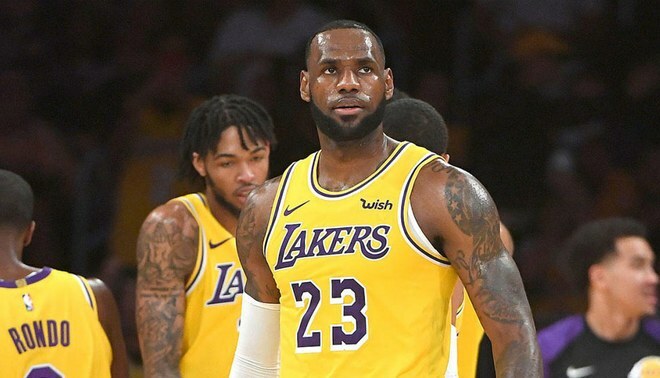 The Los Angeles Lakers have been making noticeable moves to get back to the top and finally win another NBA championship. Since Magic Johnson became the GM of the Lakers, he has been able to sign LeBron James to a 153 million dollar, 4-year deal. Lance Stephenson, Rajon Rondo, Michael Beasley, and Javale McGee followed in signing veteran contracts with the Lakers and make this both a young and veteran Lakers squad. The fan community predicted that they would be one of the top teams in the western conference and become a championship contender. Unfortunately, since this season started for them on October 18, they lost their first game against the Portland Trailblazers. The Lakers have been facing some trouble along the way not being able to finish strongly during crunch time. Currently they are 9-7 winning the last 5 out of 7. Last week, James Jones, the Phoenix Suns GM, bought-out center Tyson Chandler’s contract. He was then able to sign with the Los Angeles Lakers and played his first game on November 10 against the Sacramento Kings. Grabbing twelve rebounds and becoming a dominate defensive presence, Chandler even saved the game with a game-winning block the following night against the Atlanta Hawks. Since Tyson Chandler’s arrival, some believe that he might be the missing link by filling in the position of a defensive vocalist. Guard Rajon Rondo believes that the trio of LeBron, Tyson, and himself are a good mix of veterans to finish these games with a defensive emphasis. On Wednesday, November 14, the Lakers had their third game this season against the Trailblazers and the Lakers prevailed, 126-117. LeBron James stepped up and helped his team win–beating the Trailblazers for the second time in a row. James had 44 points, 10 rebounds, and 9 assists. Javale McGee also stepped up with 20 points, going 9 for 12. The Lakers then had a woefully poor performance against the Orlando Magic and got blown out in the first game of their Florida trip. Against the Miami Heat, the Lakers dominated the first of two LeBron homecoming games, winning going away 113-97. LeBron went off for 51 points, showing that he still has what it takes. The next homecoming game for LeBron comes tomorrow at 5 p.m. Pacific time against the Cleveland Cavaliers. LeBron is sure not to go easy on his former teammates, despite the team’s current last-place standing.